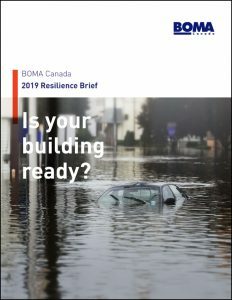 BOMA Canada is proud to present the BOMA Canada Resilience Brief – an important tool to help building owners and managers begin to consider resilience and the potential risks imposed by extreme weather events. The latest version of our Resilience Brief has been released with the most up to date knowledge of resilience, and we encourage you to review it. From floods to wildfires, building owners and managers can take steps to prepare for extreme weather events. Consulting this brief will assist our members to understand better the risk imposed and the possible adaptation strategies to protect their assets and occupants.